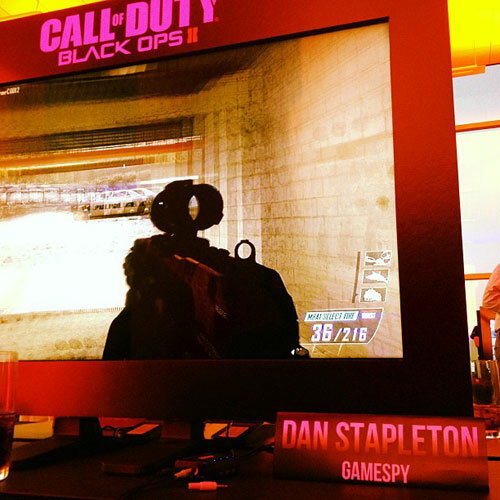 Members of the gaming press had the chance to try out Black Ops 2's multiplayer during E3, but luckily someone at IGN was kind enough to leak a few images from the private event. Three new killstreaks can be indentified from the image below: Quadrotor, FA-38 Jet, and CLAW Tank - also notice the new multiplayer HUD. 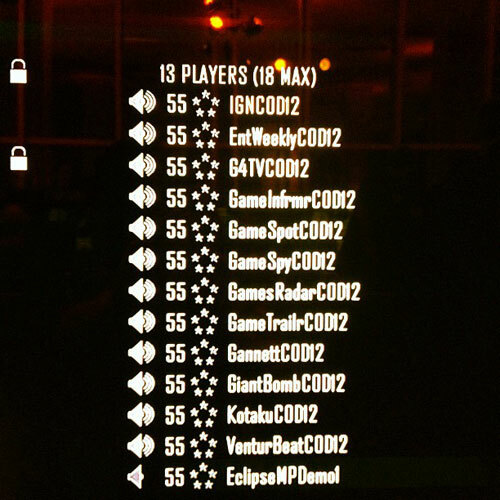 From the multiplayer lobby image we can conclude that the maximum level before Prestige is 55, but it's currently unknown how many Prestige levels the game has.